Cranford Radio concludes its series of introductory interviews with the current members of the township committee. Mary O’Connor began her three year term on January 1. We started off by learning a bit about her background. Don’t be surprised if a few years from now you hear someone from Cranford announcing the next Triple Crown winner. 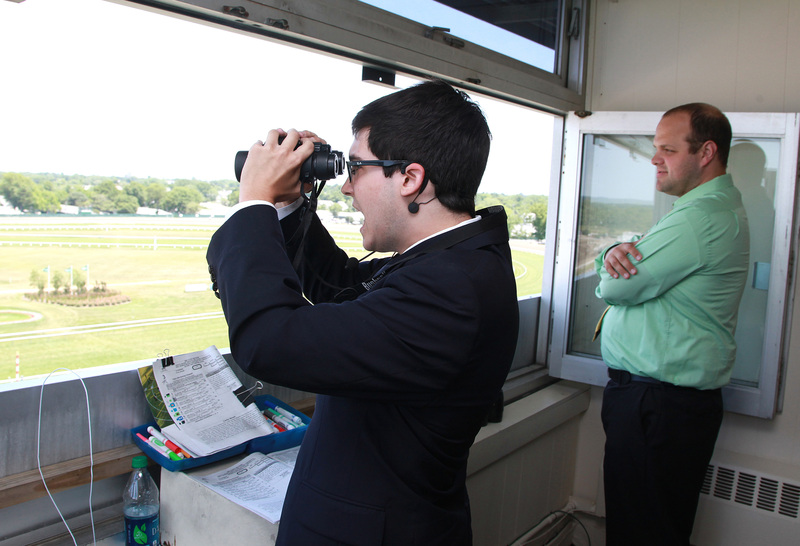 John Piassek graduated from Cranford High this year but he’s already had the opportunity to guest call a race at Monmouth Park. You don’t find too many teenagers who have an interest in horse racing, to say nothing of having an interest in calling horse races. I asked John how that interest developed. Amateur Race Caller John Piassek (L) was a guest announcer with Monmouth Park Track Announcer Travis Stone (R) calling the third race Monmouth Park in Oceanport, NJ. Photo By Bill Denver/EQUI-PHOTO. Fresh produce, baked goods, even pickles and olives await you at the Cranford Farmers’ Market. 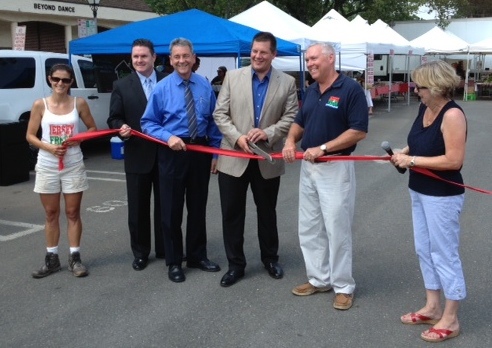 The market held a ribbon-cutting on Thursday afternoon. Among those on hand was the assistant secretary of the New Jersey Department of Agriculture. Cranford Radio was also present and has this report.